May 15, 2015 – The Air Force released a draft Request for Proposal (RFP) for GPS III Launch Services on May 13 that includes launch vehicle production, mission integration and launch operations. This draft RFP attests to the Air Force’s ongoing efforts to reintroduce competition into the Evolved Expendable Launch Vehicle (EELV) program. This is the first of nine space launch missions that the Air Force plans to compete in its EELV Phase 1A strategy. The EELV program provides the United States affordable, reliable, and assured access to space. Since 2006, the Department of Defense has relied on a single industrial partner, Centennial-based United Launch Alliance (ULA), to deliver critical capabilities to space in support of Department of Defense and other National Security missions, collectively known as National Security Space (NSS) missions. ULA’s Atlas V and Delta IV launch vehicles have been used to launch national security payloads that give critical support for weather, mapping, military communications, intelligence and surveillance.. With multiple launch vehicle configurations and launch sites on both coasts of the U.S., ULA has had a 100% record of success, demonstrating unprecedented reliability. The Air Force and the Office of the Secretary of Defense restructured the EELV program in 2012 because of concerns about the rising cost of domestic space launch. The updated strategy allows for competition between ULA and new entrants to the EELV program as soon as new commercial launch companies can be certified for national security launches. The government requires a certification process that subjects launch providers to rigorous and repeated testing and mission assurance procedures with government oversight. To date, only the Atlas V and Delta IV are fully certified to meet a full range of government launch requirements, but California-based SpaceX expects to have its Falcon 9 rocket certified next month, and plans to compete for government national security contracts. ULA continues to work toward reducing costs, with programs in development that include its Next Generation Launch System (NGLS), which was recently unveiled at the 31st Space Symposium in Colorado Springs. The new rocket, Vulcan, brings together decades of experience on ULA’s Atlas and Delta vehicles, combining the best features of each to produce an all-new, American-made rocket that will enable mission success from low Earth orbit all the way to Pluto. The new rocket will conduct its debut launch in 2019, with partial reusability gradually introduced in 2024. The government’s next launch will be the AFSPC-5 mission for the U.S. Air Force, which is scheduled to launch on a ULA Atlas V 501 on May 20, 2015 from Cape Canaveral Air Force Station, Florida. AFSPC-5 marks ULA’s 96th mission since the company was founded in 2006 and the fifth ULA launch of 2015. AFSPC-5 also will be the 54th Atlas V launch since the vehicle’s inaugural mission in 2002. ULA program management, engineering, test, and mission support functions are headquartered in Centennial, Colorado. Manufacturing, assembly and integration operations are located at Decatur, Alabama, and Harlingen, Texas. Launch operations are located at Cape Canaveral AFS, Florida and Vandenberg AFB, California. 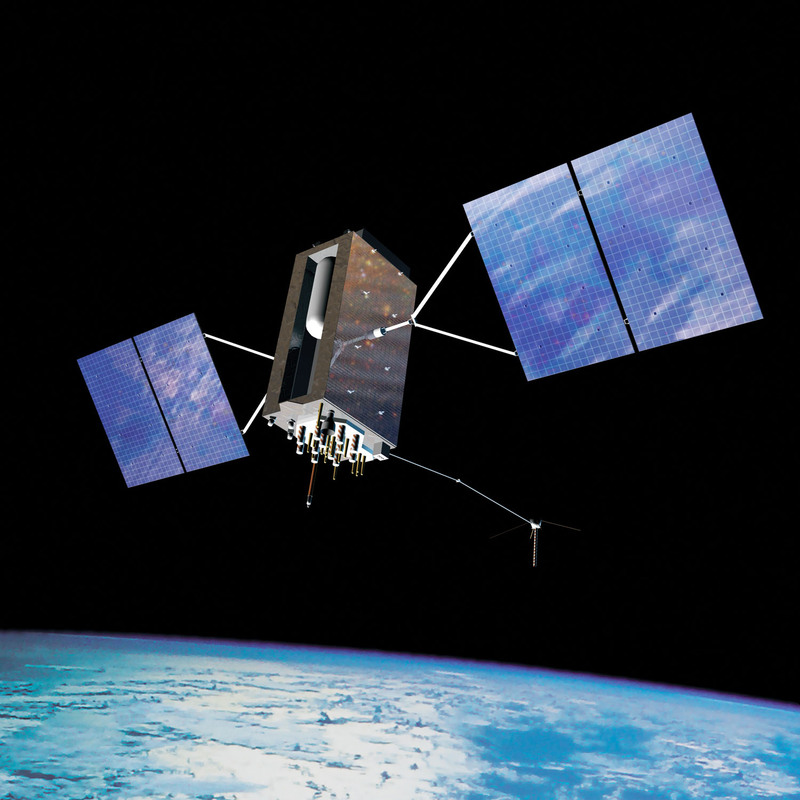 GPS III is currently under development by the U.S. Air Force and Lockheed Martin. GPS III will improve position, navigation and timing services and provide advanced anti-jam capabilities, yielding superior system security, accuracy and reliability. The GPS III team is led by the Global Positioning Systems Directorate at the U.S. Air Force Space and Missile Systems Center, located at the Los Angeles Air Force Base, California. Lockheed Martin is the GPS III prime contractor with teammates Exelis, General Dynamics, Infinity Systems Engineering, Honeywell, ATK and other subcontractors. Air Force Space Command’s 2nd Space Operations Squadron (2SOPS), based at Schriever Air Force Base, Colorado, manages and operates the GPS constellation for both civil and military users.